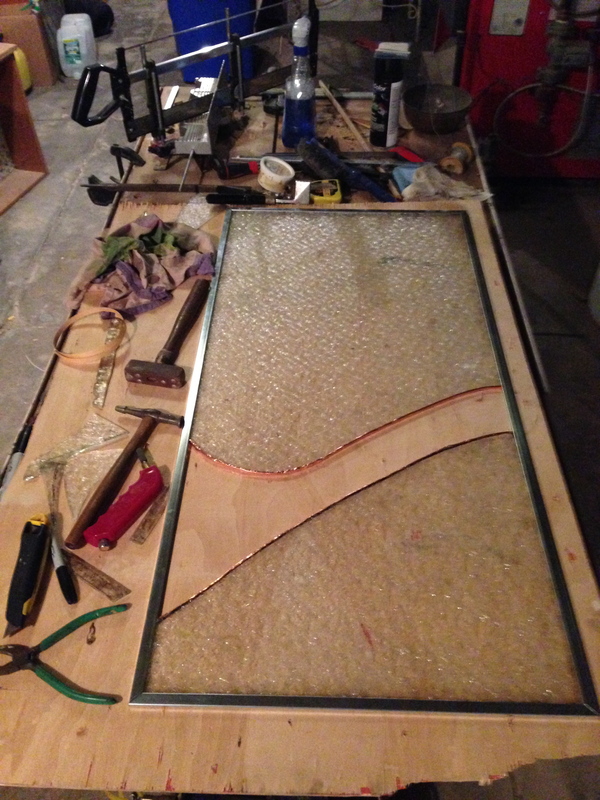 I cleaned up the break, and made a frame for the old glass. 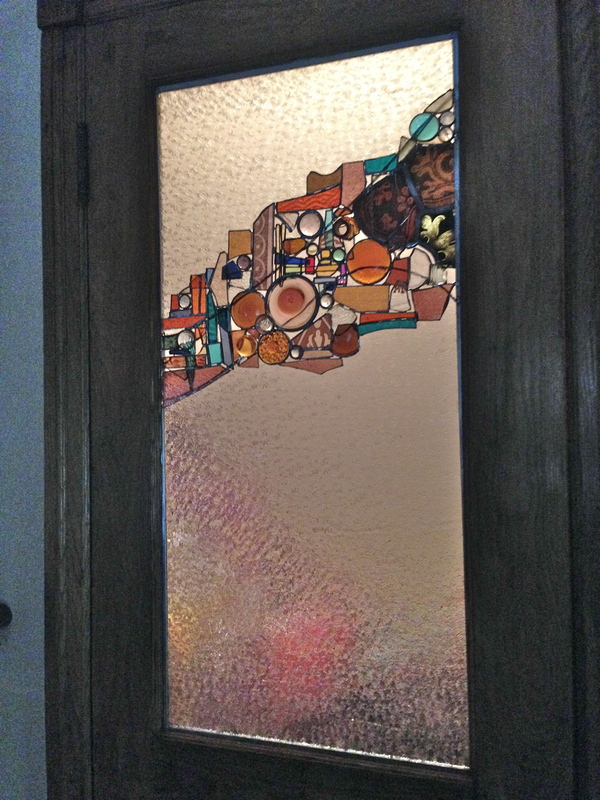 So, the door is restored, with lots of new color and pattern; that is a good thing. 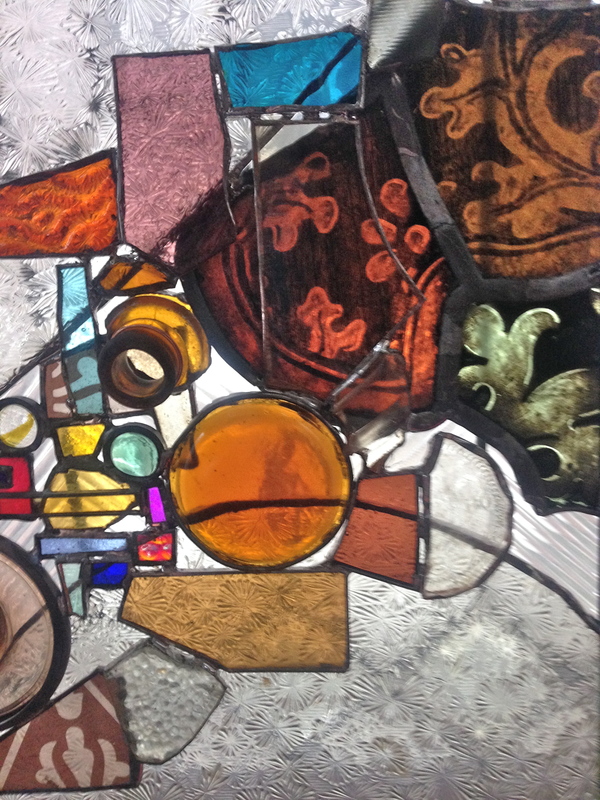 The lovely old glass is once again sitting in the light, which is also a very good thing!